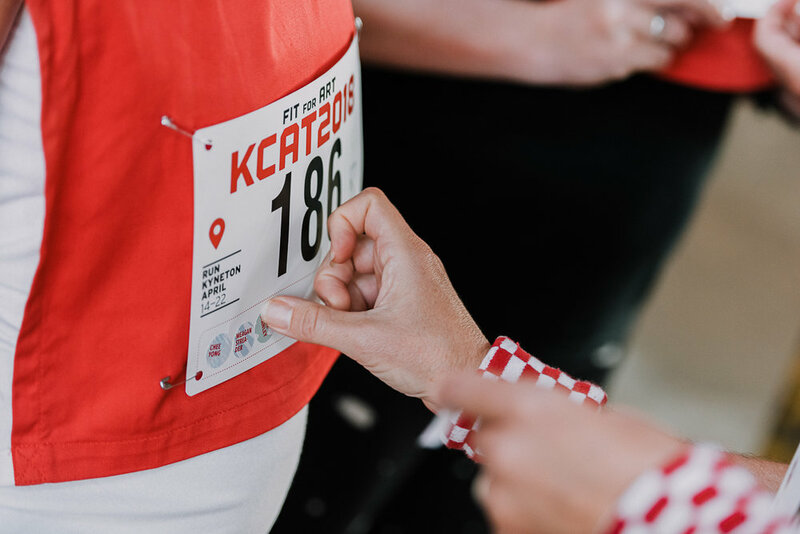 Run Kyneton was developed for the inaugural Kyneton Contemporary Art Triennial (KCAT), April 14th–22nd, 2018. The piece had several aspects all deriving from the act of running. Over the nine days of the triennial Suite No. 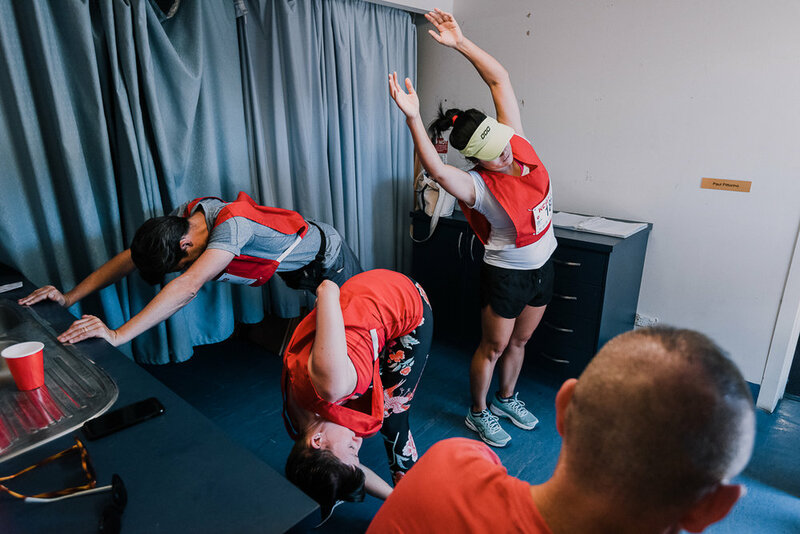 4 at Kyneton Motel became a site for installation and a base for the daily running program. 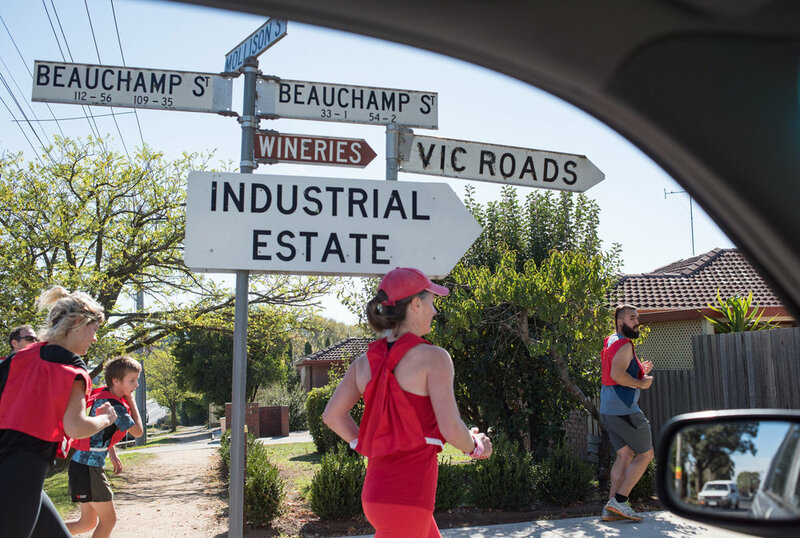 Kyneton 6m50sec, is a voyeuristic journey through a collection of the town’s public and private environments at a jogger’s pace. The running body is used to connect domestic, commercial, civic and green spaces as a way of creating a pulsating, textured portrait of the town. Viewers were invited into the private space of the motel room where the artist was staying to sit on the bed and view the work. Above: Kyneton Motel video documentation and still imagery from the Run Kyneton room installation and Fit-for-Art public running program. 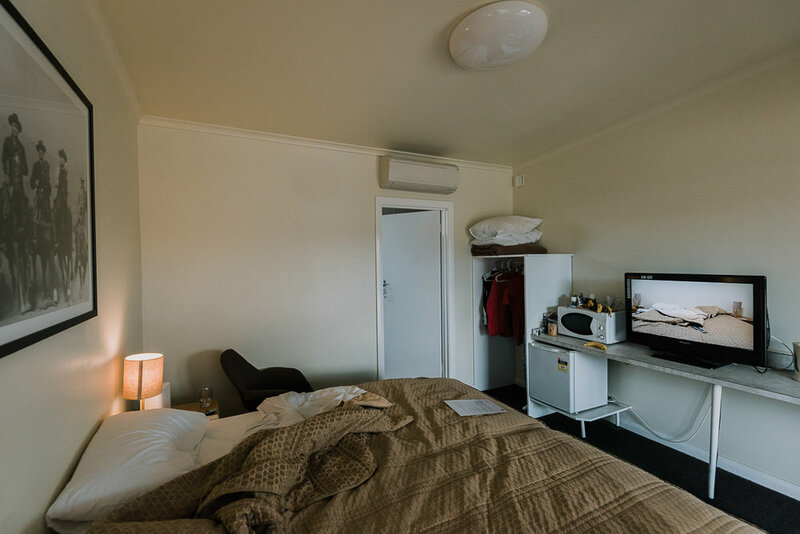 During the triennial Suite no.4 at the Kyneton Motel functioned as a site for installation, living space for the artist and meeting point for the public running program. The Fit-for-Art public runs departed daily from the Motel. 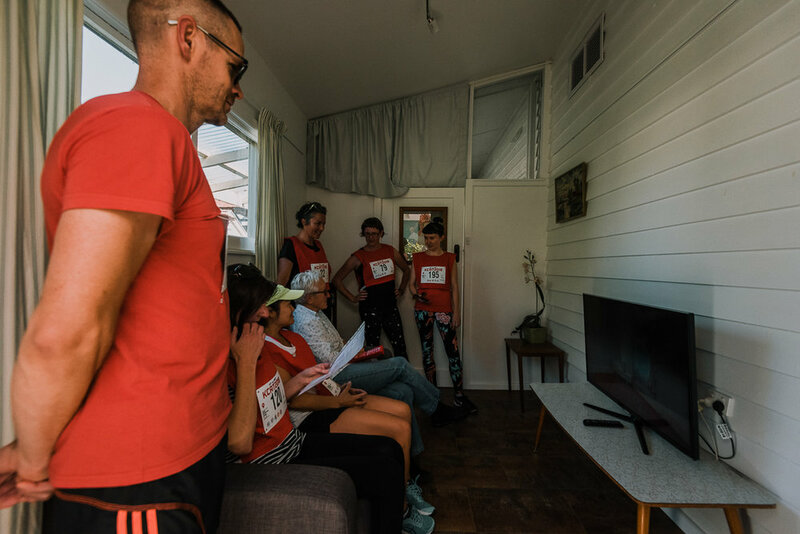 Participants were invited to explore the sensory and perceptual experience of running and to question whether this altered state – heart racing, air on the skin, changing ground beneath the feet – can enable a connection with our surroundings on a different level. 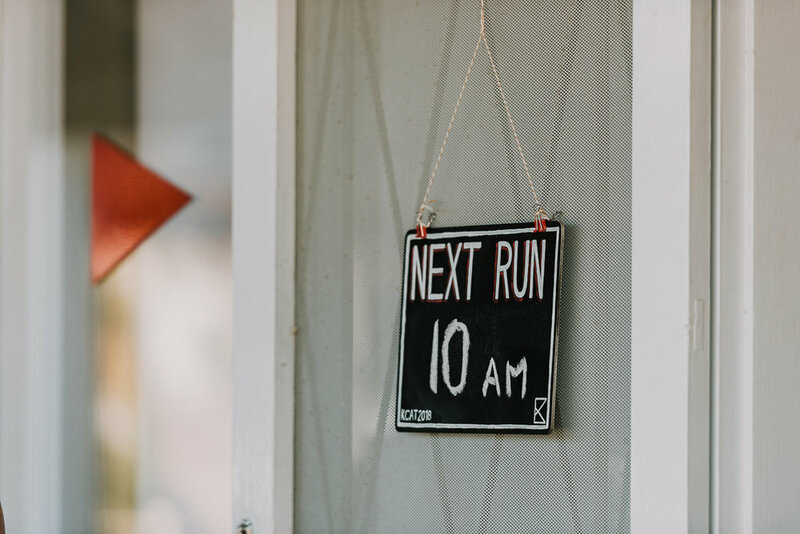 This was explored through jogs that visited the works of the KCAT artists, where runners arrive physically warmed up at each site to consider what this sweaty state of alertness brings to an encounter with art. Workshop with Kyneton Primary School art students. During the triennial a day was spent working with the art teacher, Daniel Butterworth, and students from Kyneton Primary School. For the students it was their first day at a newly built school. 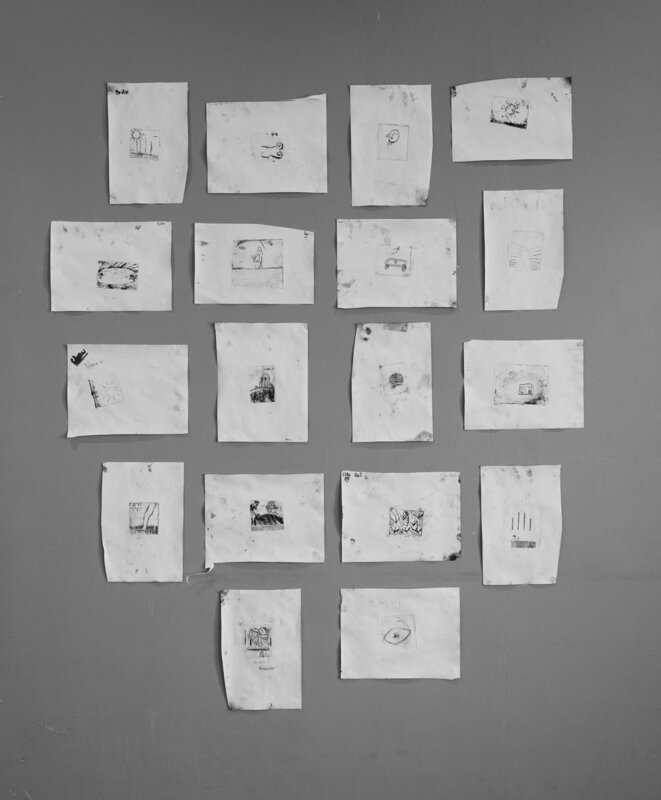 They were invited to explore the connection between being physical and making an image as a way of becoming familiar with their new surroundings. Short jogs were taken through the school environs followed by an energetic time for making in response to the feelings and sensations the students had experienced on the runs. Cathy Foote, Kyneton Motel, The Kyneton Historical Society, Kyneton Museum, Macedon Ranges Council, The Royal George Hotel, Carol and John McQualter, Flo and the volunteers at the Uniting Church Op Shop and sorting day, Angelo Russo, Relle, Craig and Robin, Ben George, Christine Falk, Market Street Car Wash, Market Street Mowers, Principal – Alistair Rayner, Art Teacher –Daniel Butterworth and the students at Kyneton Primary School students, Mirrorwood Redgum Firewood Sales, Kyneton Bowling Club, Kyneton Croquet Club, Daniel Martin, Steve at the Transfer Station, Alan Todd, Major Toms, Tiff, Tone, Gin, Ol, Monte and Joe.